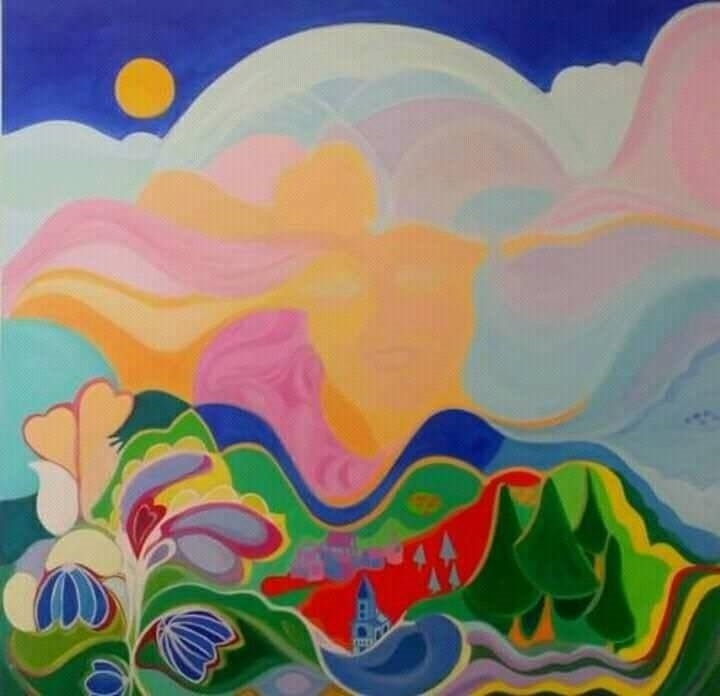 Artist:LIV S. M. EVENSEN – INSIDE AND OUTSIDE OF TIME. The Fabel Lab Creative Workshops. Expressive arts teacher, painter, writer, story teller, shamanic dreamscapes, internationally published speeches, chair of international workshops, jewelry designer (earlier radio journalist, director + producer of children’s theater, editor mental health magazine, teacher). Creative director of “The Breathing Space for Youngsters”, working with children. Born Oct. 7, 1949 + live in Oslo, Norway, lived and worked in Canada, USA, UK. Travels in east- west – north - south. 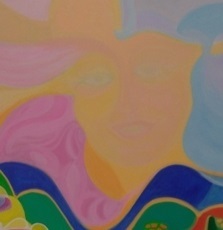 LivE’Art – Dream’Art. 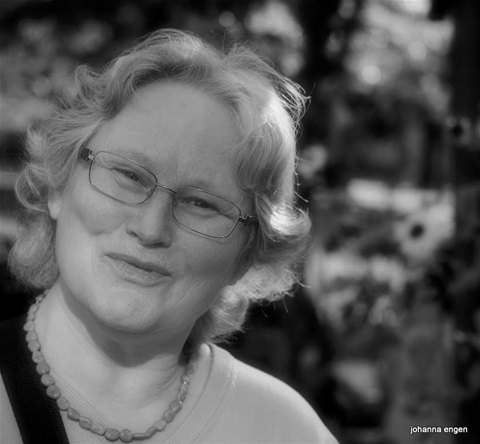 Member of Oslo Art Guild, Eurotas.org and American Transpersonal Association. Journeyer through A Course in Miracles. 2005-2015:Tales of Transformations, Shamanistically Speaking”, 800 short stories and poems (from shamanic dreamscapes – working with Spirits) where 50 in manuscript placed among three with Honorable Mention in Southern California Book Festival, Nov.2015. Member of “Table of Honor” in Great Midwest Book Festival, USA, 2015. Submitted for publication, USA, 2018. 2015-2017-“Reconnections”, short stories, reached the finals in William Faulkner Literary Festival, Words and Music, New Orleans, LA, USA, 2015.Ditto “poetry”2017. 2010,12,14-Member of Faculty + presented poems and short stories as Featured Guest, published in The Double Dealer, William Faulkner Literary Festival, Words and Music, New Orleans, LA, USA. 1999-2011-Earlier (also smaller) texts + essays/speeches + poetry published in also The European Legacy (ISSEI) (from workshops in Norway, Italy, Spain, Malta), + poetry anthologies. Also on oral – intuitive and healing stories, and myths, fables and fairy tales transformed (e.g. history transformed). 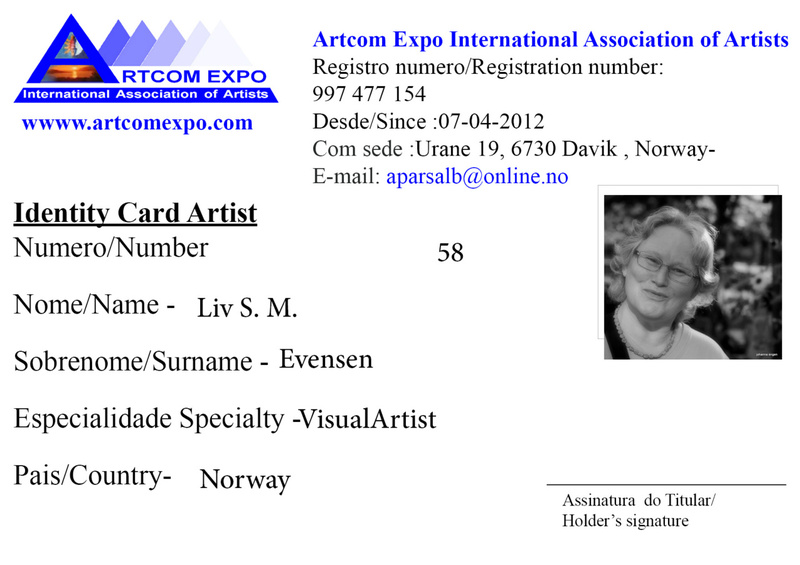 2018-Collective exhibition in Form.Gallery, Bergen, Norway, with Artcom Expo (International Assoc. 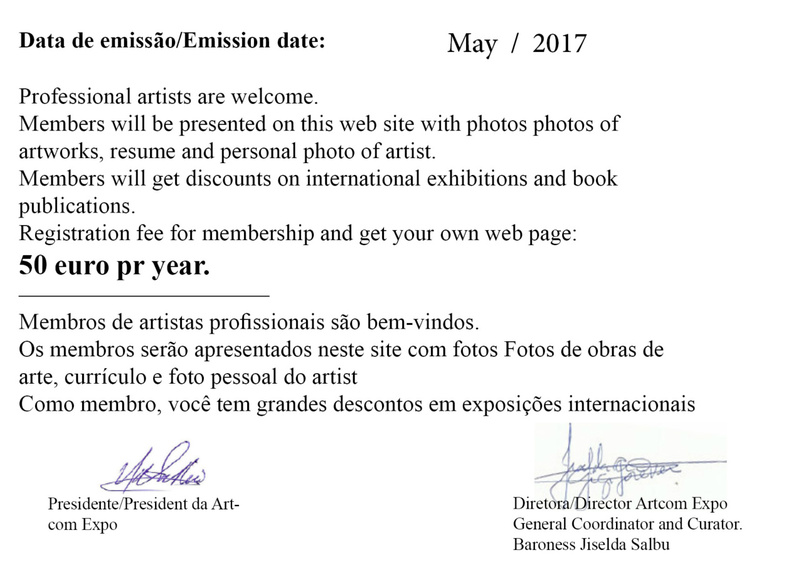 of Artists + Magenta Gallery, Portugal). 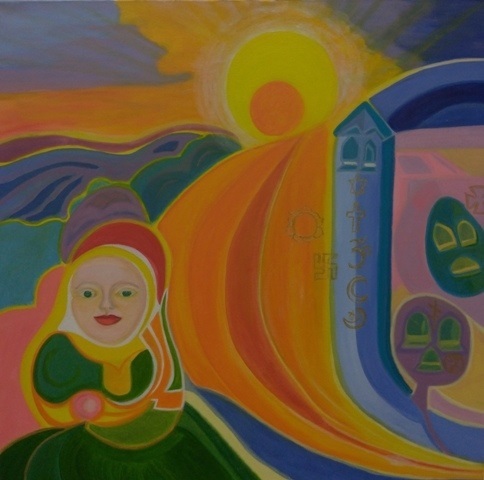 2018-Prix Paintre Switzerland et Norway Crèativite de la medaille at collective exhibition in Galerie Cathedrale, International LII – Exchange international des arts cultures/XXXVIII Salon recompense, Fribourg, Switzerland: «East of The Sun – West of The Moon – North Now” with Artcom Expo (International). 2017-Collective exhibition in Carousel de Louvre, Paris, France: «Homewards Bound of The Strong Undercurrents of Love” with Artcom Expo (International Assoc. of Artists). 2017-Paintings-power point and art therapy/pedagogy workshop at “Our Spiritual Roots”, Nordic Transpersonal Psychology Conference, Sigulda, Latvia. 2016-Collective exhibition: “Inside Nature”, Oslo City Hall Art Gallery, Norway. 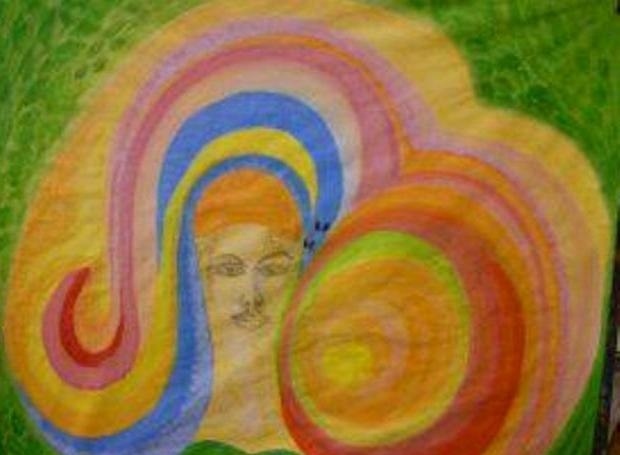 2015-Power-point presentation of paintings and creative workshops at transpersonal festival “Feed the Soul”, Centre Ompio, Milan, Italy. 2015-Collective exhibition, “12”, Dalype Art Gallery, Oslo, Norway. 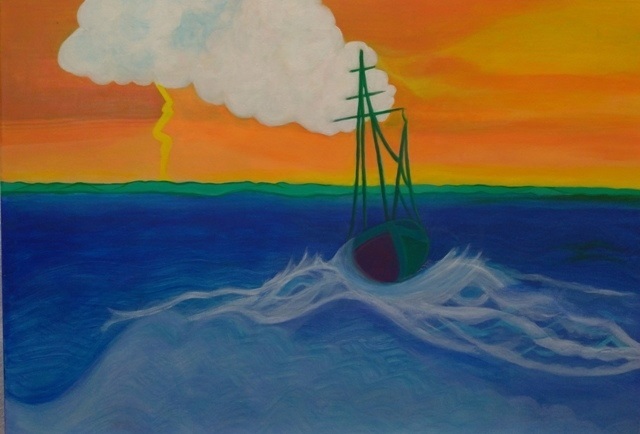 2014-Presentation of paintings and texts at William Faulkner’s Literary Festival, Words and Music, New Orleans, LA, USA. 2012-14 Collective exhibitions: “Liv’E Roads”, “Transitions” at Nydalen Art College. ART EDUCATION 2012-14: 2 years: Nydalen Fine Art College, visual arts – painting, Oslo, Norway. 2014-15: 1 year: “Personal Art Development – painting” – NFAC. 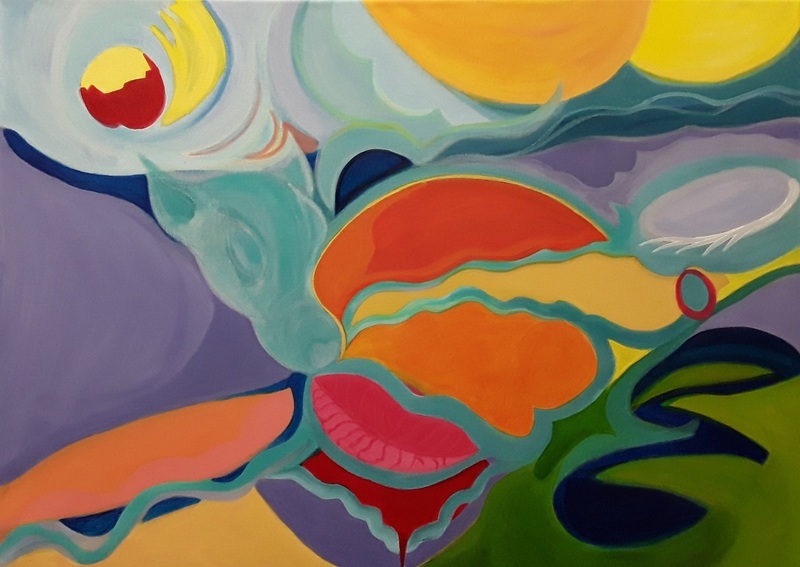 2015-16: 1 year: “Big Painting” – NFAC. Before that: Expressive Arts Therapies, B.Sc. – MA, Edu. sciences, (incl. drama + media and communications) 1981-1991, at Univ. Oslo, Norway + College of Media and Comm. Volda, Norway, The Mime Center, London UK, 5 yrs. theatre studies. 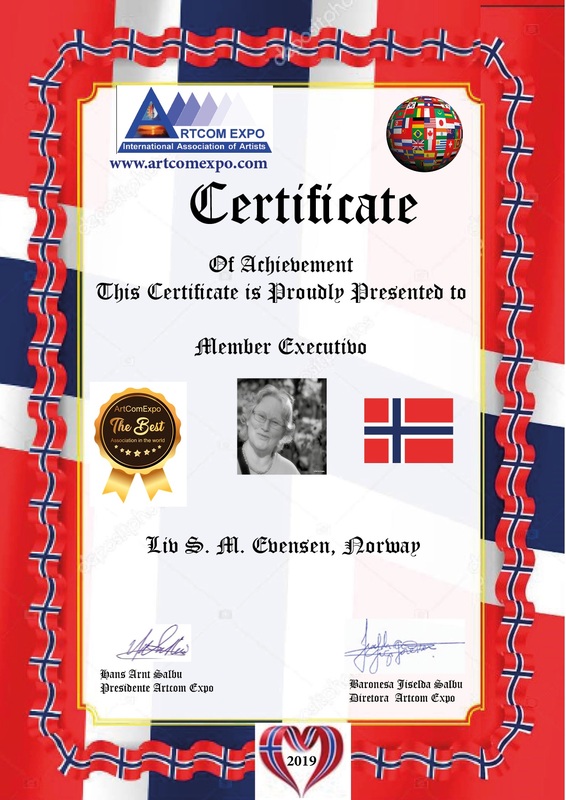 2017- Memberships: Artcom Expo Association International of Artist Norway. 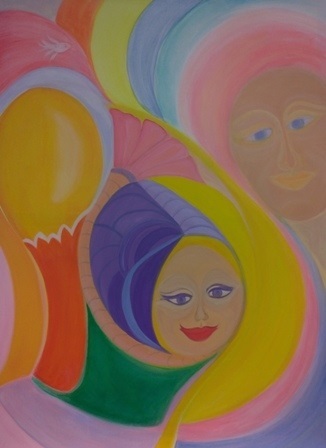 EAST OF THE SUN AND WEST OF THE MOON – acryl on canvas, 50 x 70. East of the Sun and West of The Moon – North Now – across, and after the Bridged Journey – hearts ache – silent now – the storm is over – the river swells across the riversides for new life to grow – pure hearts’ blood drip – The “Animal in A New Book of Revelation’s Dream” – The Reindeer – for the two new ones – north now – east of the moon and west of the sun, for many – also for two – north now. ETTER REGNET – PIKEN MED DEN MAGISKE FYRSTIKKEN – FAR OG DATTER. Fra sjamanistisk, og sterkt inspirert drømmereiser.